According to these guys, Auburn leads the series with Georgia 55-54-7. There’s some extra historical tug of war awesomeness to the Deep South’s Oldest Rivalry (TM) this year… or at least there would be if the Auburn-Georgia series really was tied at 54-54-8. But it’s not. Or at least it shouldn’t be. And I’m not talking about 1992, as much as I could be (and have). No, I’m talking about the 1899 game, which for some reason the record book of man currently counts as a 0-0 tie, but which the record book of angels still has down as an 11-6 Auburn win. Auburn 11 0, Georgia 6 0. Those are the same zeros you see in one of the eight supposed ties that along with the supposedly equal number of wins supposedly has the series tied. Back then, no one could believe they were real. Not the Auburn players, who were, according to the Atlanta Journal, “deeply hurt” by the decision… hell, not even the Georgia players, who, though happy to technically not be losers, had no qualms about crediting Auburn with the win. That’s mighty sporting of Young, especially considering we tried to keep him from playing. Oh yeah, forgot to mention that part: Half of Georgia’s players weren’t technically enrolled at Georgia, at least not as students, or at least that was the claim: That they were soldiers just stationed in Athens or something, and according to Heisman and the rules, therefore ineligible. If they were eligible, they sure didn’t act like it. Before the game, Auburn’s captain and manager walked over to Georgia’s sideline with an affidavit stating that in playing the five players in question, no rules of the S.I.A.A. were being broken. Georgia refused to sign it. What’s so weird about Rowbotham’s decision is that Auburn had actually tried to get him to call the game 15 minutes earlier for the safety of everyone involved. (Because it was dark, and for whatever reason the few cops that were there weren’t keeping people off the field, something the Journal couldn’t understand.) That meant that the gentlemen—nay, saints—of Auburn were willing to sacrifice a win to save lives. Auburn protested the decision of the game, they protested it hard. And it worked. On November 19, 1900, a year and a day after the perversion, the executive committee of the S.I.A.A. overturned the zeros and restored the game’s real result: Auburn 11, Georgia 6. The decision was signed by no less than conference president William Dudley (who also founded the S.I.A.A. by the way). Now, as easy as a call as this should have been for Dudley and Co., it was still pretty rare for a referee to be overruled. And not many people thought he would be. “It is not probable that Mr. Rowbotham’s decision will be reversed,” wrote the Red and Black, Georgia’s student newspaper, which actually thought it should have been. Georgia deserves some credit, too, for having the Red and Black list the score as God intended—Auburn 11, Georgia 6—even before the reversal. So when did they reverse the reversal? More importantly, when did we reverse the reversal? And why? Thing is, the record was never really bent. 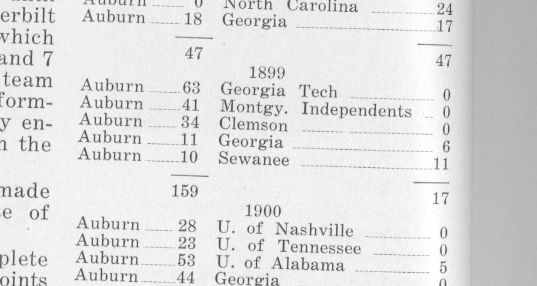 From the 1904 Glomerata. 11-6. I would say it’s a mystery on par with the Reappearing LSU Game—but that was a game we lost. To cheaters, yes, but still lost. 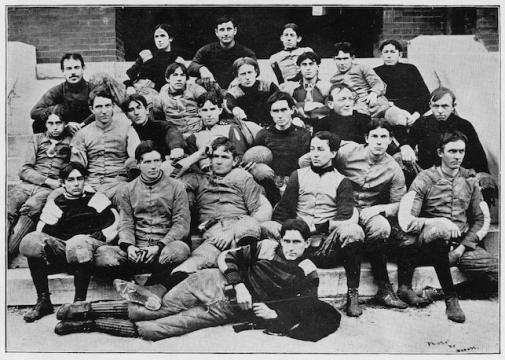 The 1899 Georgia game? We won that game! Common sense dictated Auburn won, the S.I.A.A. dictated Auburn won, and tons of Auburn publications wrote that we won: 11-6. That’s the score the Glomerata had for years, and the Auburn Alumnus, and even the first real history of Auburn football, which was commissioned by Auburn in 1951. Even Dan Hollis’ 1987 complete history of Auburn football has it as Auburn 11, Georgia 6… which is weird, because some of the (mistaken) Auburn football media guides put out in the past 20 years actually cite Hollis’ books as a source for their statistics. 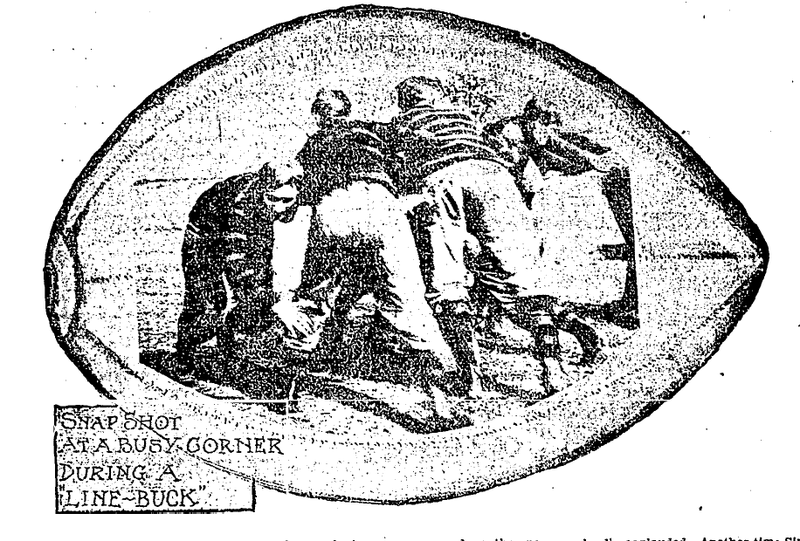 From a 1927 issue of the Auburn Alumnus. 11-6. The same score is listed in official Auburn publications through at least 1951, as late as 1987 in a book on Auburn football history which in 1993 was cited by Athletic Dept. researchers as source material for media guide stats. The 1908 LSU game, the unclaimed national championships—hell, even just the unclaimed undefeated seasons. Now it appears that we’ve been robbing ourselves of a win for God knows how long—a win and a one-game advantage in the Deep South’s Oldest Rivalry (TM). To quote myself in last month’s story about how our 100th anniversary celebration of homecoming at Auburn actually should have been the 104th anniversary celebration of homecoming in America, it’s like selling ourselves short historically has itself become an Auburn tradition. Kind of a lame tradition. Auburn leads the series with Georgia 55-54-7. Related: This O.B. 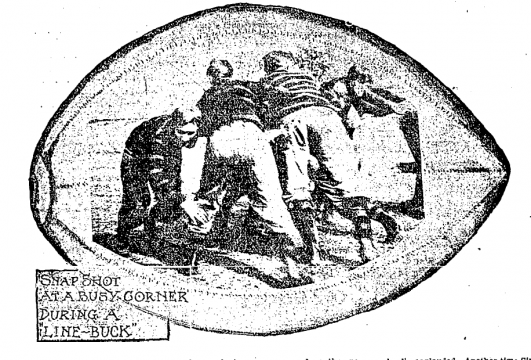 Keeler story on the 1915 Auburn-Georgia game is the greatest thing you’ve ever read—or had read to you—about Auburn football. Someone with Twitter want to forward this on to CBS Sports for Saturday? Thank you. Here’s to win 56.